Shorter, more concise chapters provide flexible coverage of the subject. Expanded coverage includes: uncertainty and randomness, prior distributions, predictivism, estimation, analysis of variance, and classification and imaging. Includes topics not covered in other books, such as the de Finetti Transform. 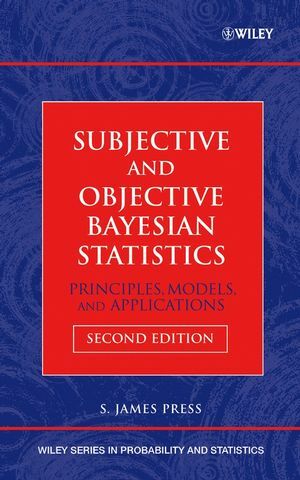 Author S. James Press is the modern guru of Bayesian statistics. S. JAMES PRESS, PhD, is a Distinguished Professor in the Department of Statistics at the University of California, Riverside. He is the author (with Judith M. Tanur) of The Subjectivity of Scientists and the Bayesian Approach, also published by John Wiley & Sons, Inc., 2001.